Samsung has now officially announced that it will launch its new M series smartphones on January 28. Samsung made the announcement via its official Twitter account by sharing a teaser image. The upcoming Galaxy M series is most likely to include the Galaxy M10 (SM-M105F) and M20 (SM-M205F) smartphones. It is worth mentioning here that, the two devices recently received Wi-Fi and Bluetooth SIG certification. However, Samsung didn’t reveal the devices which are expected to be announced at its upcoming launch event on January 28. 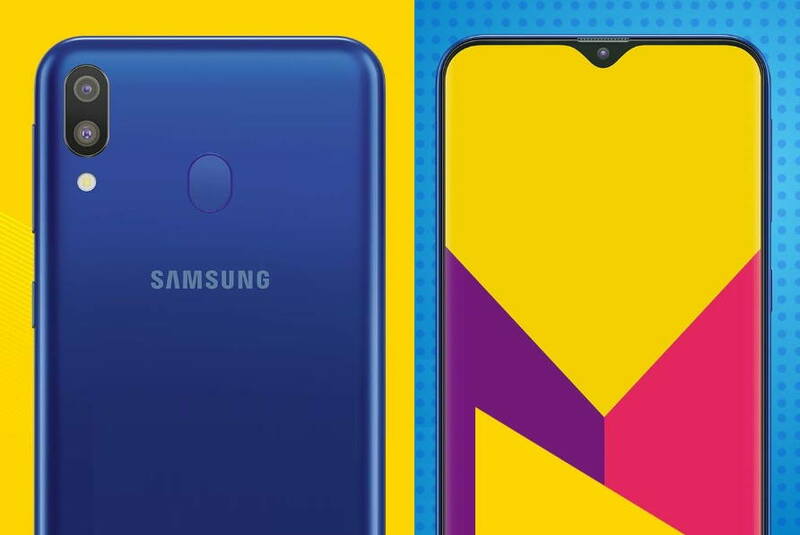 However, the product page on Amazon shows only one device which we expect to be the Samsung Galaxy M10. The Twitter post also confirms that the first M series devices will be available exclusively on Amazon. The image in the tweet also reveals the device to come with a waterdrop Notch. We can also see the small earpiece just above the Notch. There also appears to be a powered the volume rocker keys placed at the right side. The Amazon listing shows the device to sport a dual rear camera setup. There is also a fingerprint sensor on the back. On the bottom of the device, we have a 3.5mm headphone jack, a USB Type-C port, and speaker. The page also teases a powerful battery on the device. As for its color, the Amazon listing shows only a blue color variant of the device. The pricing and the device name hasn’t been confirmed yet by the company.